Brian Kelly, the founder and CEO of BKCM LLC, an investment company focused on cryptocurrencies, came out bullish on Bitcoin Cash (BCH) on CNBC May 21. 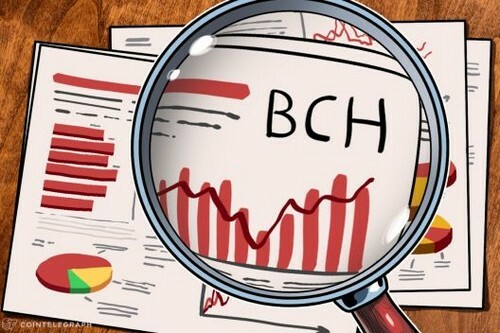 After the price surge to $1600 on May 5, BCH subsequently declined to the 50-day SMA and formed a head and shoulders pattern, which has a target objective of $650. Over the last 24 hours, BCH has lost almost 5.8 percent in price, from $1290 to $1205. Still it is valued significantly higher than its April level of $760. BCH is a peer-to-peer digital currency established in mid-2017 as a result of the hard fork of Bitcoin that took place to solve the scalability problem. With upgraded consensus rules, BCH is able to grow and increase the size of blocks, allowing more transactions to be processed. Earlier this month the pro-Bitcoin community dropped its plans to level a lawsuit at the site Bitcoin.com. Members were outraged that the crypto and wallet service, which is run by BCH evangelist Roger Ver appeared to be misleading buyers by muddling the distinction between BTC and BCH.